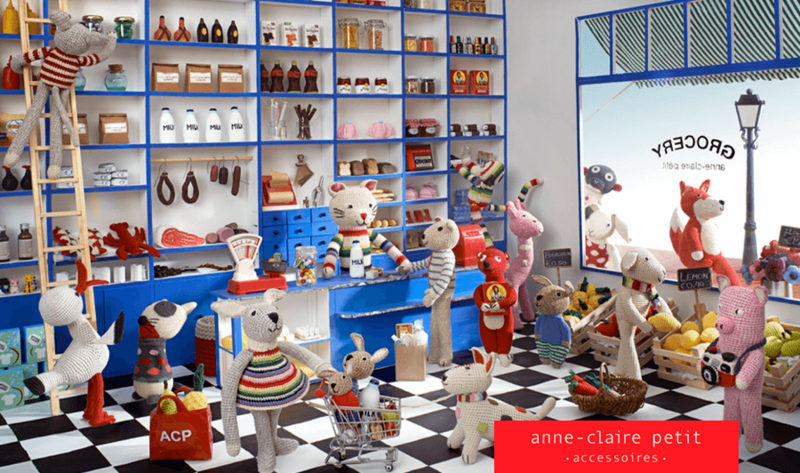 The world of ANNE-CLAIRE PETIT is a happy world. Her collection is defined by recognizable color schemes and feel good products, ranging from an extended animal family to baby toys, from deco objects to furniture and from cushions to wallets. In the turmoil of present times, Anne-Claire sees it as her personal goal to cherish traditional textile techniques by working with local craftspeople who earn fair wages and work under fair conditions. 100% organic cotton is used for all cotton crocheted products.